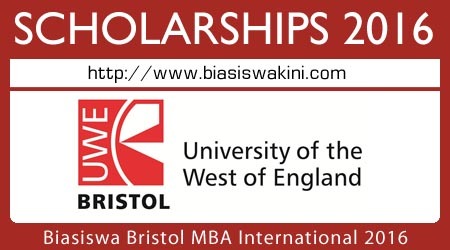 Biasiswa Bristol MBA International 2016 is a funding initiative by UWE Bristol, which seeks to provide opportunities for students who wishes to pursue their postgraduate studies. Following graduation, recipients will also be expected to be an active member of the UWE Alumni Network by helping the University to promote its programmes to prospective students. Applicants must be willing to take the course full time. Eligible applicants must have achieved the equivalent of a British 1st or 2:1 in an undergraduate degree. Hold an unconditional offer or a conditional offer where IELTS or equivalent English language is the only condition. Be a new student to UWE Bristol with no previous UK study. Be classed as overseas for fees purposes. Successful candidates when accepting the scholarship will need to prove that they satisfy the UKVI criteria in terms of being able to cover living costs and the remainder of the fee. For the Master of Business Administration (Full-time) programme , can be made online by selecting the 'Apply for this course' option on here. Why an MBA, not any other programme, could help you in your professional development? Why you are applying to the Bristol MBA? Why it is particularly interesting to you? They should clearly write and save the document as “Personal Statement for Bristol MBA International Scholarship” before uploading via their welcome portal. For September 2016 start the submission deadline is 30 April 2016. Your application will be assessed by the MBA programme leader and candidates will be informed of the final decision by 30th May 2016. 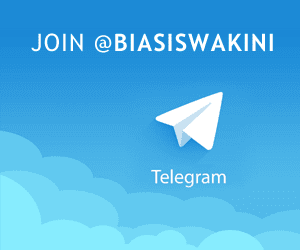 0 Komentar untuk "Biasiswa Bristol MBA International 2016"